OK…this is the deal! : My name is Kazeem Olalekan and I am the CEO and Technology Manager at Iforg Limited. Like most people around the world, the recent Great Recession has had significant detrimental effect on my personal and business bottom line. Nonetheless, fighting back I am and I hope you are too. To get a quick idea of what I am about, you can get yourself a copy of my brief memoir – “The Doctrine of Universal Truths” at universal-truths.org. My focus is mainly about the marriage of Technology with Healthcare and I am always looking to exploit the use of many technology innovations to deliver healthcare solutions. I am a pharmacist and have a Masters in Business Information Technology. I nevertheless, continue to learn and develop my technology skills. When I acquire a skill, it is to achieve a purpose. I put the horse before the cart. Over the years, as I develop a range of projects, I have been acquiring skills to help achieve my project purpose. 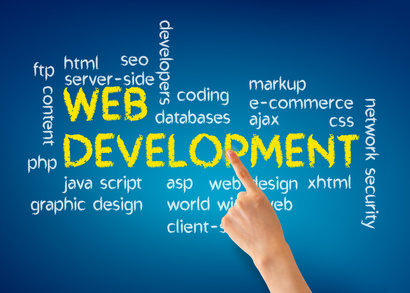 I find that one of the core skills, I have acquired is in the realms of Web Development. This is clearly a broad term for describing developing a website for both the internet and the intranet. I have been known to develop simple web pages to complex web applications using different programming languages. I aim to adopt a jargon-free approach to the discussions on this site. Understanding is the primary goal with the aim of encouraging will-be systems engineers to understand that the path to great achievement is through dogged persistence. If somethings appears difficult, please feel free to post it in the forum part of the website and I will do my very best to answer or signpost you to someone who can. If the demand for my service grows, then I will be recruiting budding programmers and web development trainees to help deliver some of the services. Of course, training will be provided! I like the idea that ‘Anyone can change everything’: you better believe it! In addition to customising this template-based WordPress site, do check out our portfolio here for some of our other projects. My Badges….and they will grow….